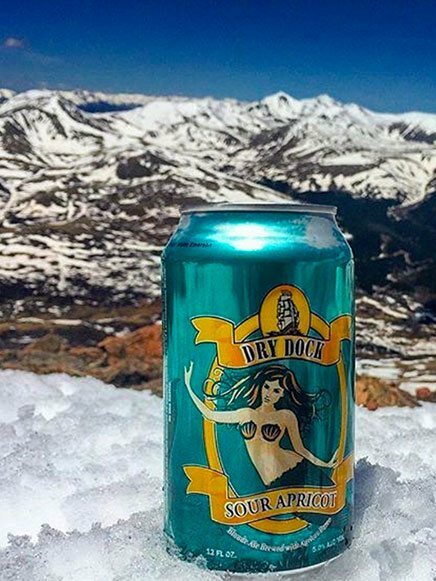 Craft Brewing in Colorado | Colorado Microbrewery | Dry Dock Brewing Co.
ROOM FOR YOUR NEXT EVENT? We're Now Open 7 Days/Week! A misty golden blonde ale fermented with shiploads of fruit. A crisp, clean finish and just enough apricot to make this a favorite. 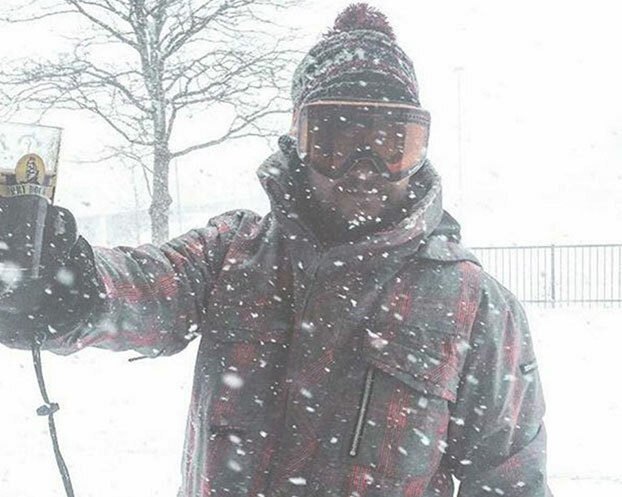 Combine with sunshine and friends for full effect. 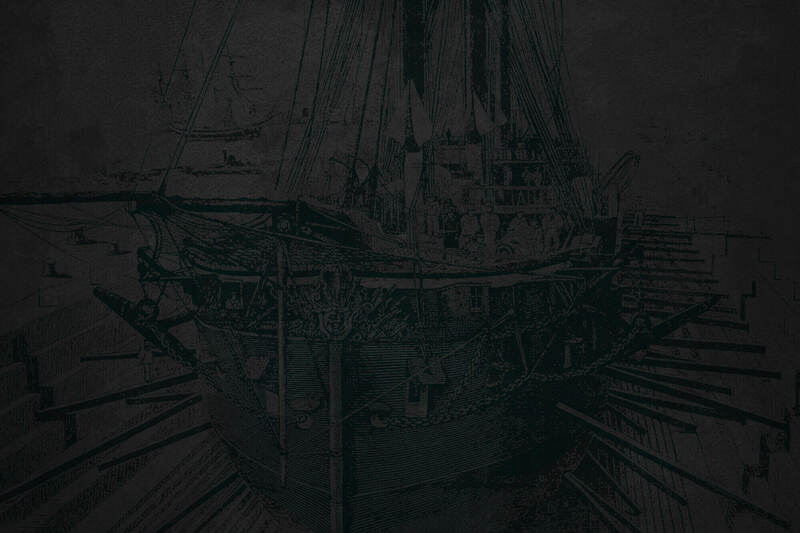 Apricot Blonde was first brewed in 2006, just one year after Dry Dock opened. 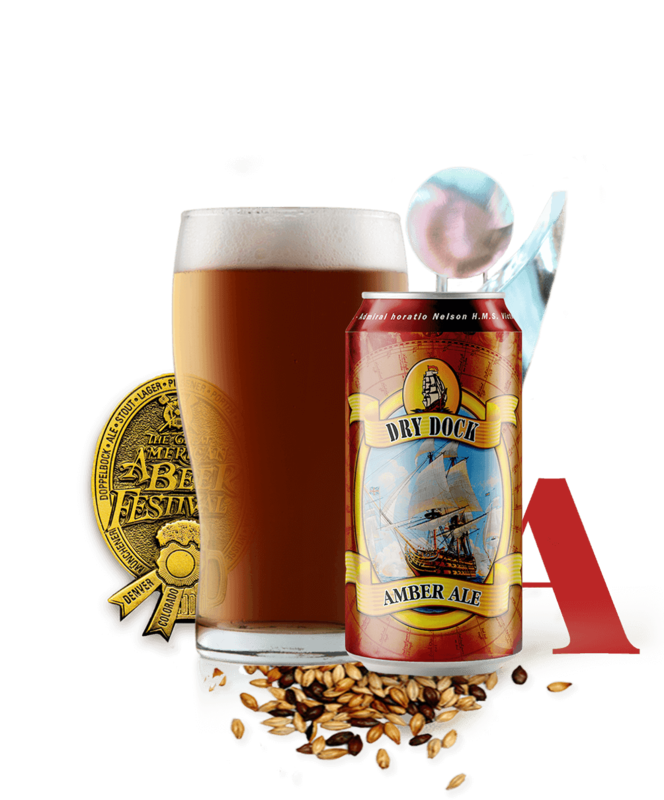 This quaffable, fruity blonde ale became an immediate hit with men and women alike, and has since become Dry Dock’s best-selling flagship ale. Lighter foods such as chicken, salads, salmon, bratwurst, Monterey jack cheese, light apricot cake or lemon custard tart. Hop Abomination has gone through rigorous changes since its 2011 inception but its excessive use of hops has always remained. 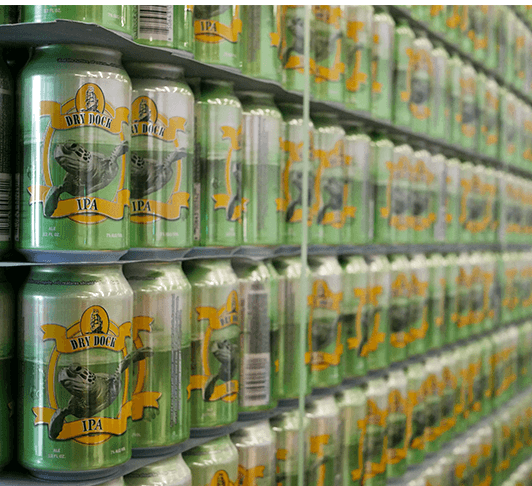 Five years and eight versions later, we are proud to offer this west-coast inspired hophead favorite. 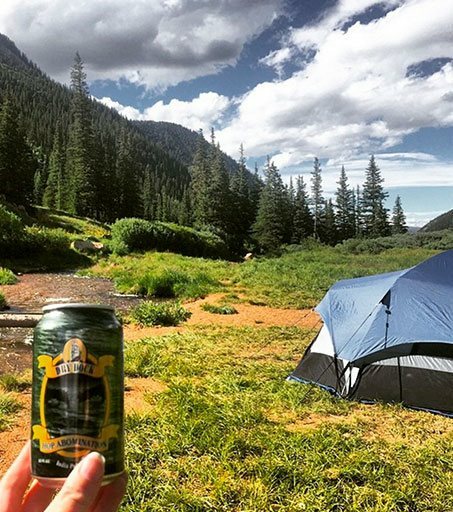 Due its popularity and over-the-top flavor, Hop Abomination was chosen to be one of the original four beers canned in 2013. Strong spicy food such as curry or blue cheese, and boldly sweet desserts including carrot cake, ginger spice cake or caramel apple tart. It’s a tall order to brighten our Double IPA— a gentle beast brewed with seven different American “C” hops— but we think the infusion of grapefruit is a perfect complement. 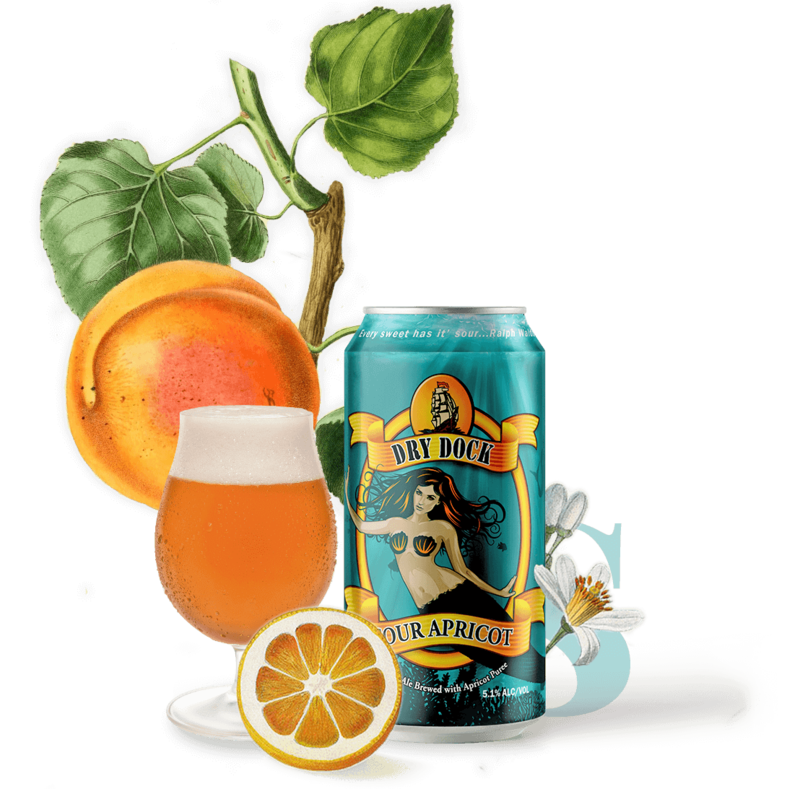 Expect hoppy characteristics of citrus and pine intertwined with bright flavors of grapefruit juice and zest for a bold and refreshing experience. 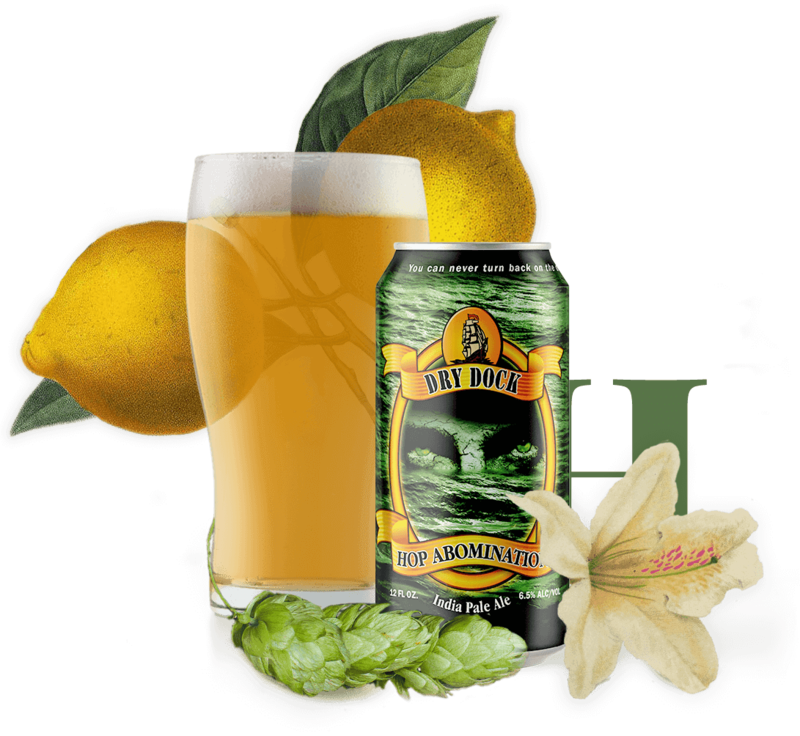 Dry Dock’s beloved Double IPA gets a refreshing twist with the addition of grapefruit. 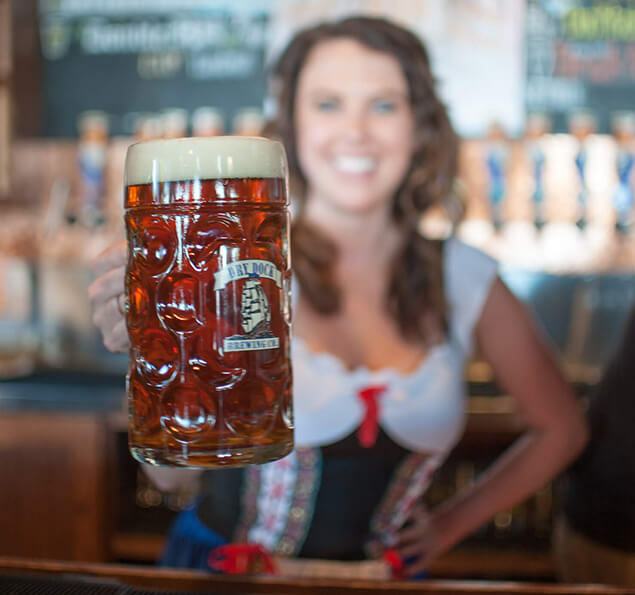 A lower ABV version of this beer was originally brewed to serve at Old Chicago in 2015, and it was so popular that we decided to bring it back with even more strength. 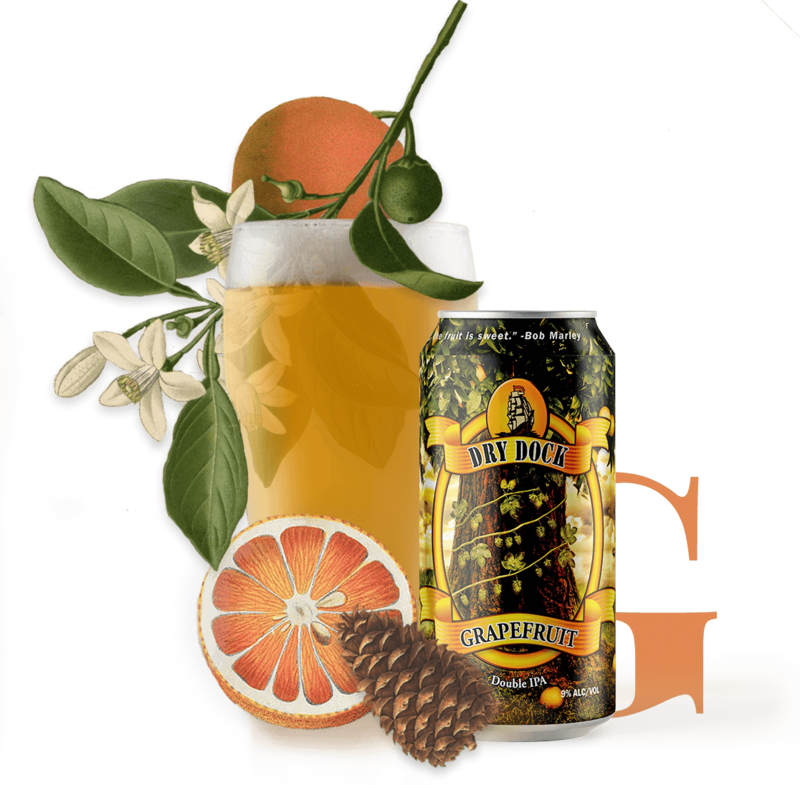 The infamous ship from Dry Dock’s Double IPA label reappears on the artwork for Grapefruit Double IPA, making collector’s items out of its cans and limited 22-ounce bombers. Spicy green curry, fish tacos, smoked brisket, grilled lamb, blue cheese and very sweet desserts. A brown porter with a generous dose of real vanilla beans added after fermentation, giving it an amazing complexity and a smooth rich flavor. There is nothing subtle about this beer. 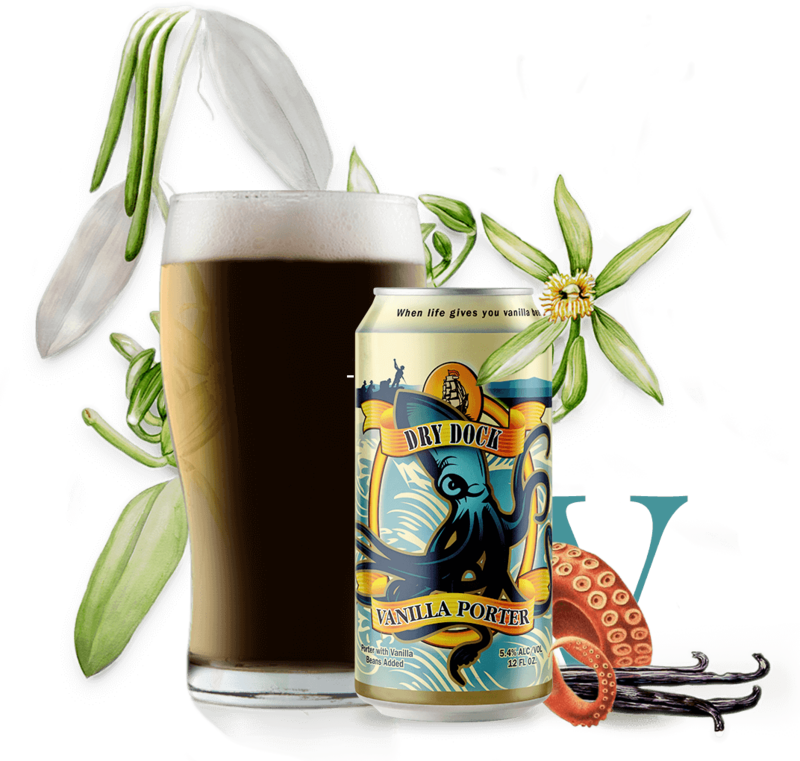 Vanilla Porter was created by Dry Dock Co-Owner, Kevin DeLange, and first brewed in 2006 on a 7 barrel brewhouse in the original 900-square-foot tasting room and brewery. This classic English-style brown porter has more than a quarter pound of Madagascar vanilla beans added per barrel. Barbecue, sausages, roasted meat, blackened fish, gruyère and chocolate desserts. 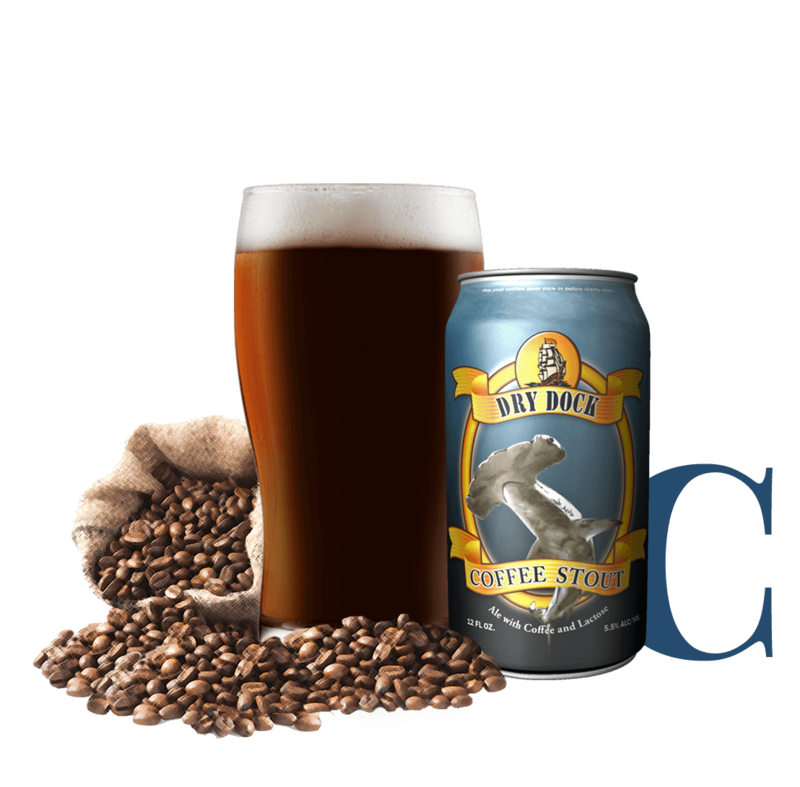 Here’s a sessionable coffee bomb of a stout that gets its hint of milk from the addition of lactose and its roastiness from a generous dose of Coda Coffee. 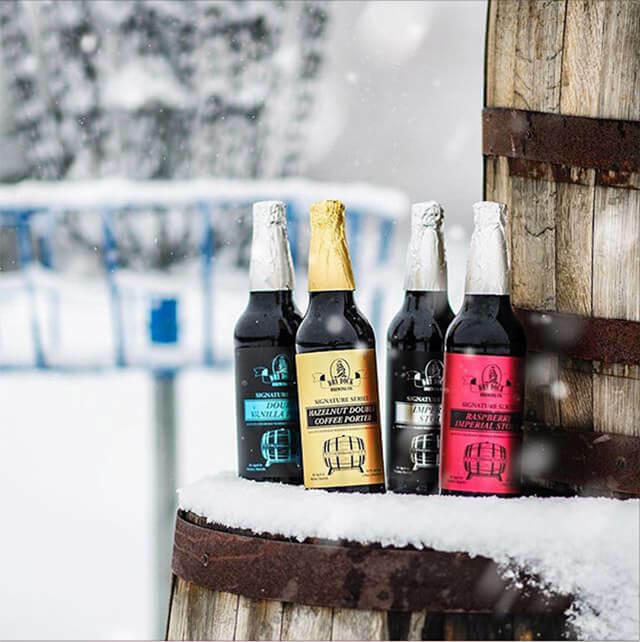 This stout has a slightly lighter body with a rich chocolate aroma and subtle caramel notes. Good morning. 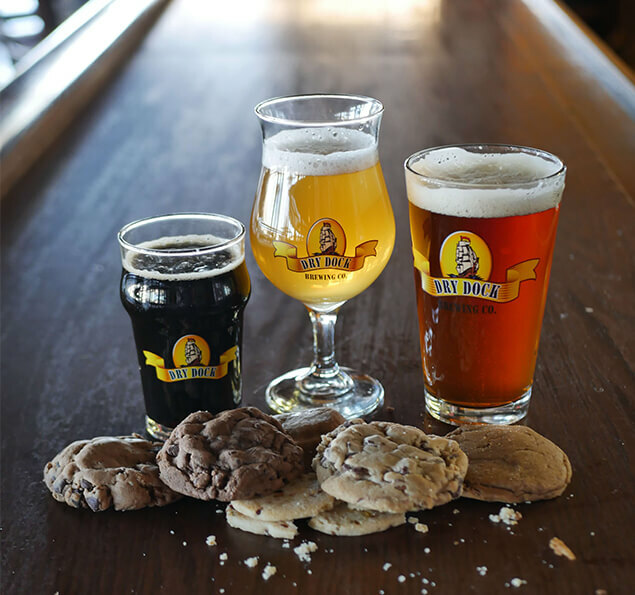 Previously available as a tasting room exclusive, Breakfast Stout (now Coffee Stout) was first brewed to combine our head brewer’s two favorite things—beer and coffee. Fried chicken and waffles, cheerios, oxtail ramen, chocolate lava cake, an Oscuro wrapped cigar. This beer strikes an elegant balance of sour and sweet. 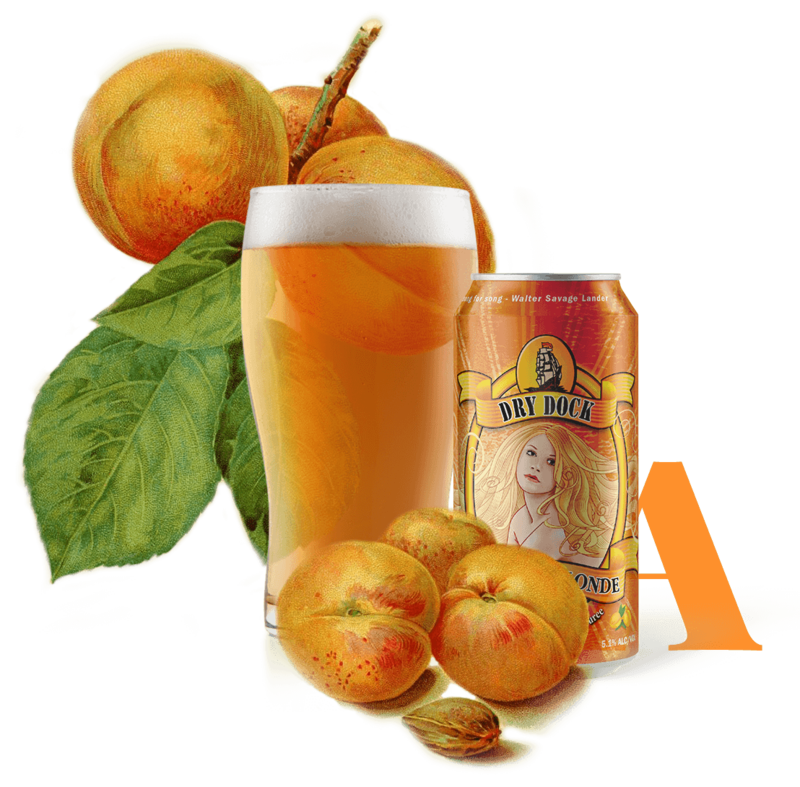 Refreshingly tart and fruity with bright effervescence, Sour Apricot packs rich apricot flavor in every can while retaining just the right amount of acidity from the use of Lactobacillus Brevis in the kettle. 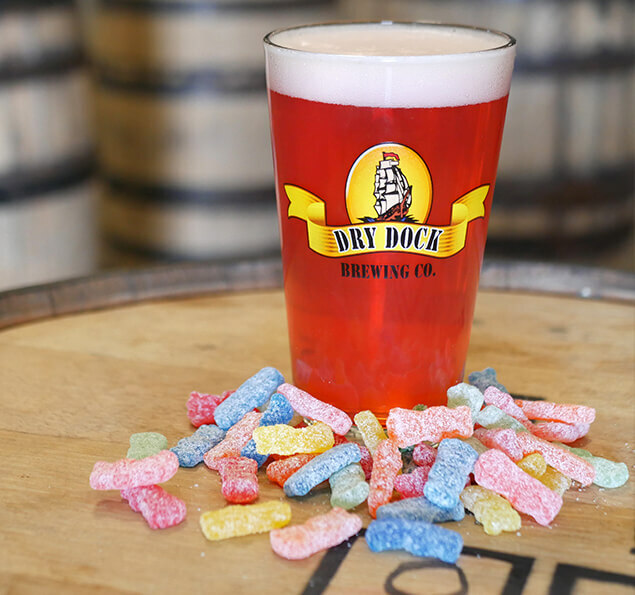 Dry Dock’s Sour Apricot was developed out of a series of kettle sour experiments at South Dock, created by adding Lactobacillus in the wort prior to fermentation. 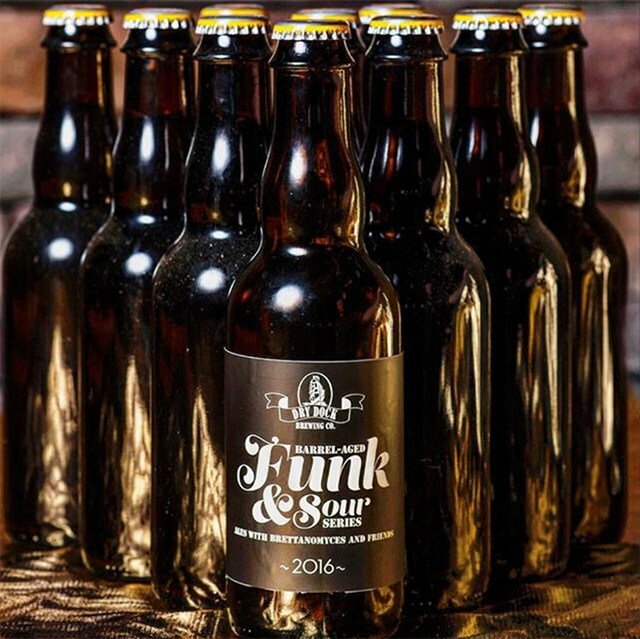 This approachable and sessionable sour ale is our refreshing twist on a fan favorite. Sharp cheddar and aged brie— or really any cheese, or food, you like for that matter. Sour Apricot complements savory, spicy, and sweet flavors, so the possibilities are endless. 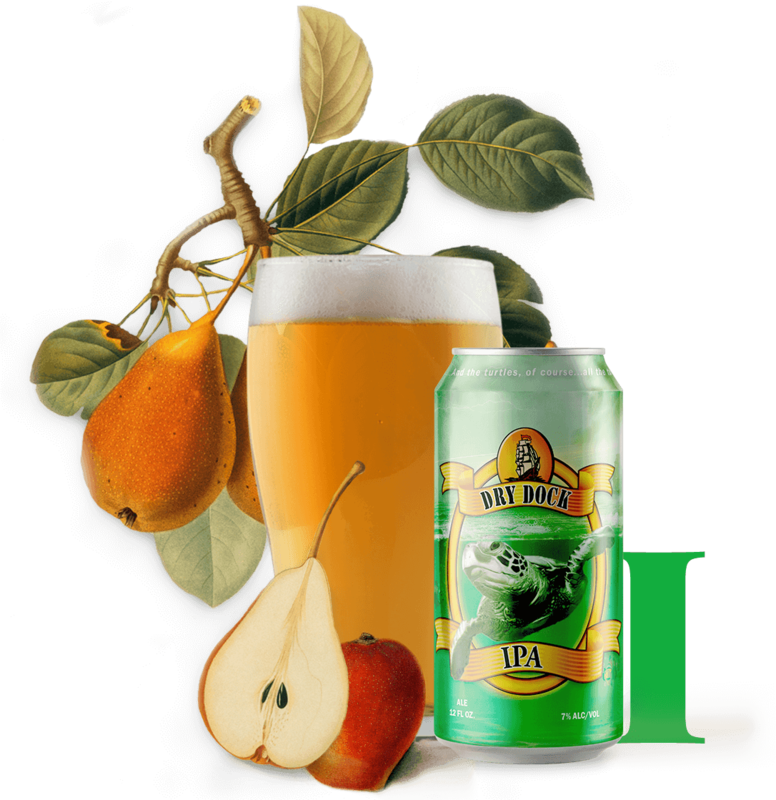 An unfiltered IPA brewed and dry hopped with Mosaic, Ekuanot and other varieties to provide juicy hints of citrus, mango, peach, and pear. We also add copious amounts of spelt and oats for a silky-smooth finish. 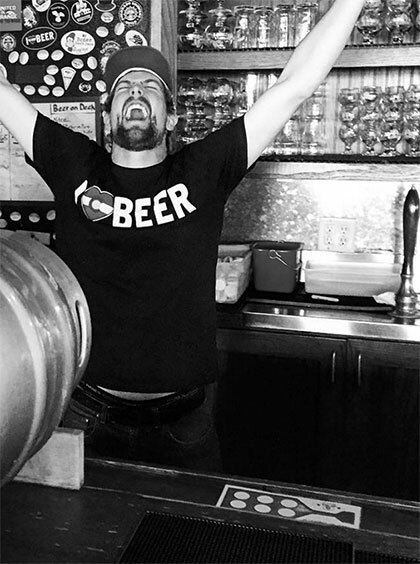 The Inspiration for this beer came from our goal to make an unfiltered IPA with a lower yeast content. The result was a one-off brew at South Dock called Chill, Haze. The beer was so well received that when planning for 2017 we decided to add it to our homefleet as Dry Dock IPA. 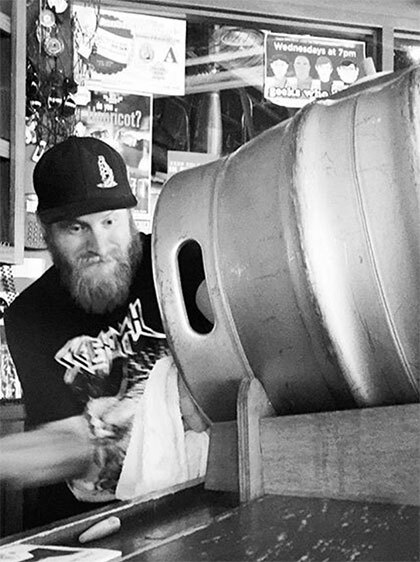 It has since gone through a few tweaks to become what we consider a great new-style IPA. Grains: Flaked Oats, Malted Spelt, Crystal Malt, 2-row. 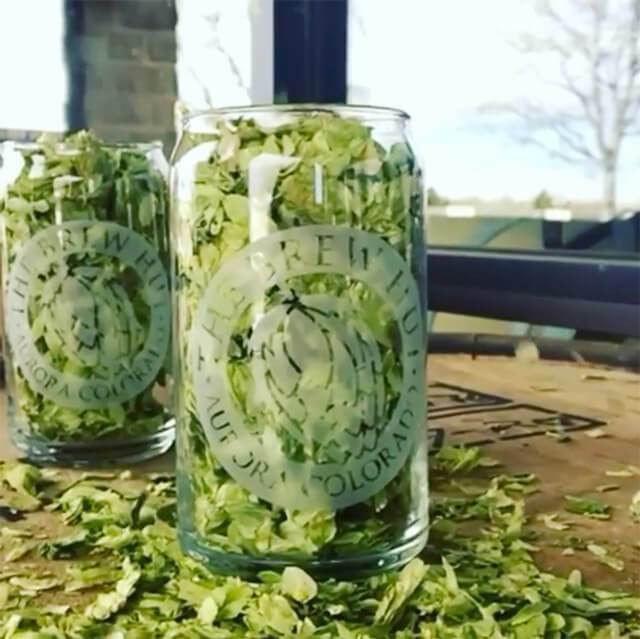 Hops: Mosaic, Ekuanot, and other varieties. Cilantro lime shrimp tacos, pork belly and spinach salad with agave mustard dressing, gorgonzola cheese, maduro cigar of choice. This deep copper ESB is the definition of balance. 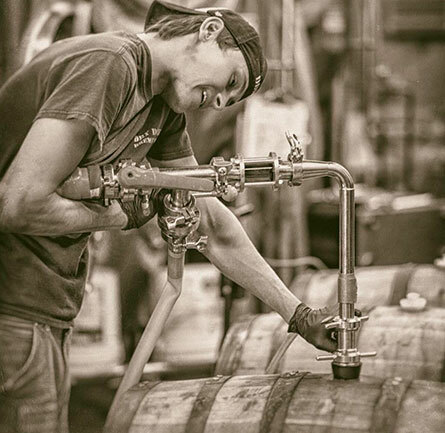 With each sip, rich malt opens up, revealing an earthy hop flavor and just enough bitterness to round it all out. 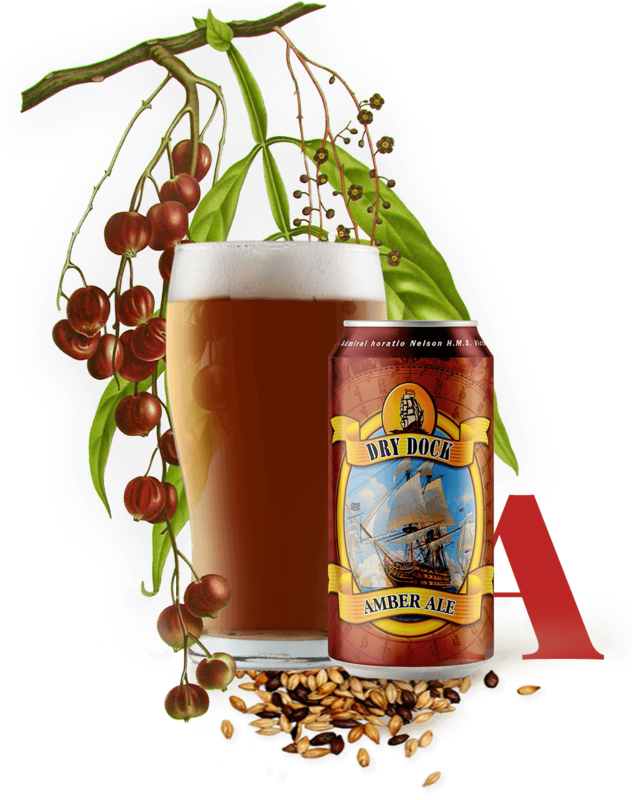 Dry Dock’s Amber Ale was the beer that put the brewery on the map. 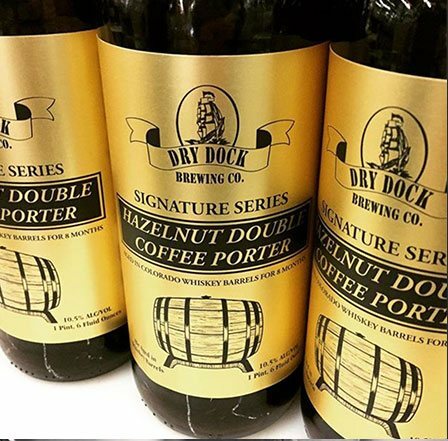 This beer, one of the company’s first recipes, scored Dry Dock a Gold Award at the 2006 World Beer Cup®, creating recognition for the brewery less than a year after its opening. 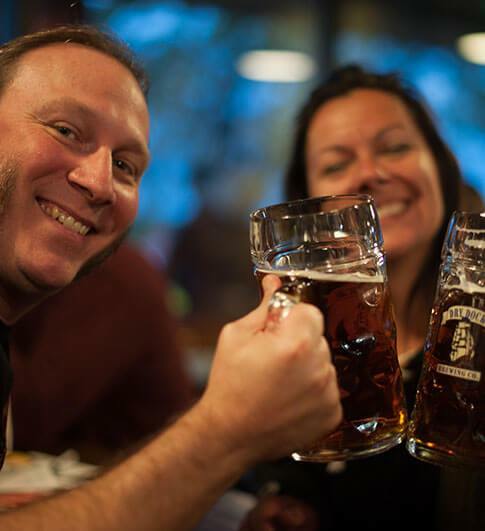 This original recipe came full circle when it won another Gold Award at World Beer Cup® a decade later. Chicken, seafood, burgers, spicy cuisine, lightly tangy cheese, banana pound cake or pecan laced cookies. BRED AT HOME. BORN FOR GREATNESS. 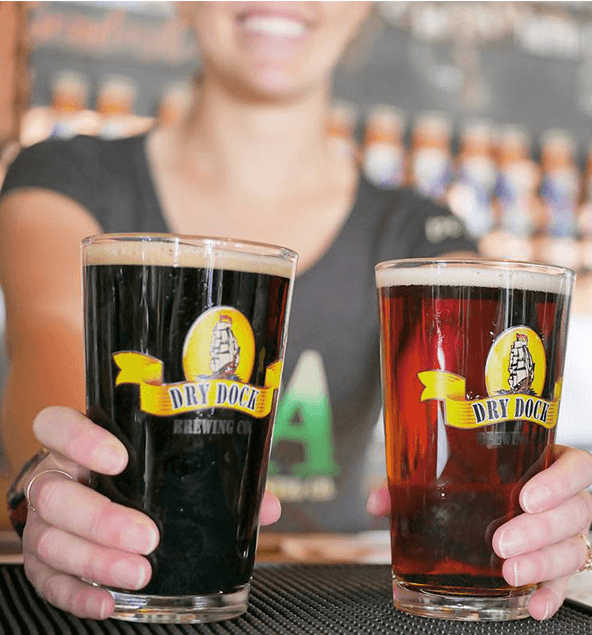 Dry Dock Brewing Company was the first brewery to open in Aurora, Colorado. 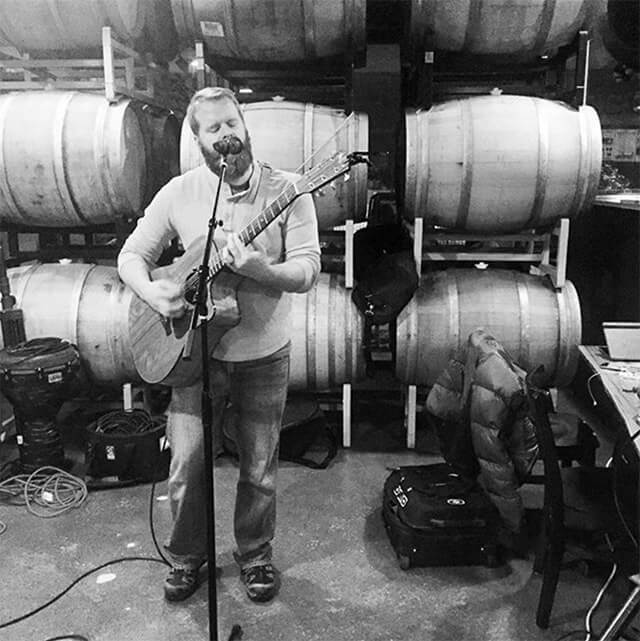 A decade ago, owners Kevin DeLange and Michelle Reding expanded their homebrew shop, the Brew Hut, by adding a seven BBL brewhouse and tasting room in the back room. 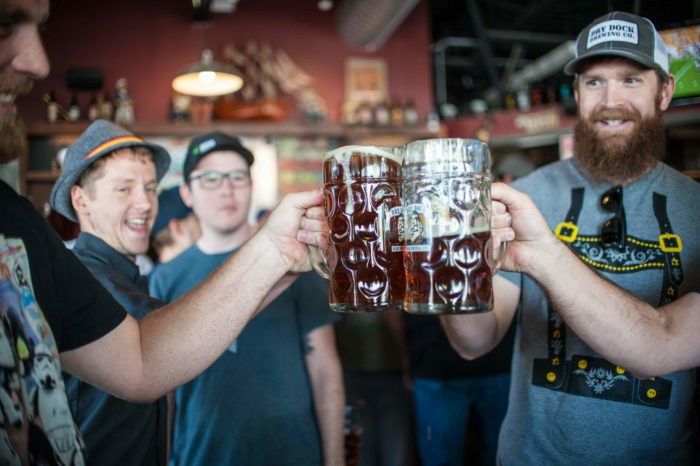 By word of mouth, the 900-square-foot brewery established itself early on as a community gathering place, and Aurora’s microbrewery. Filling bottles & Hearts since 2005. 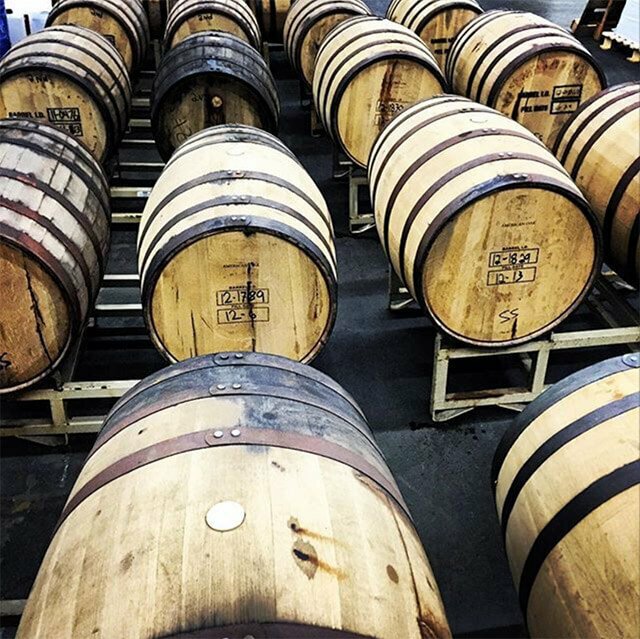 We offer home brewing supplies and great classes right next door to our South Dock Brewery.